12" hose with 1/8" NPTF thread and hydraulic coupler. (For hand operated grease guns only). 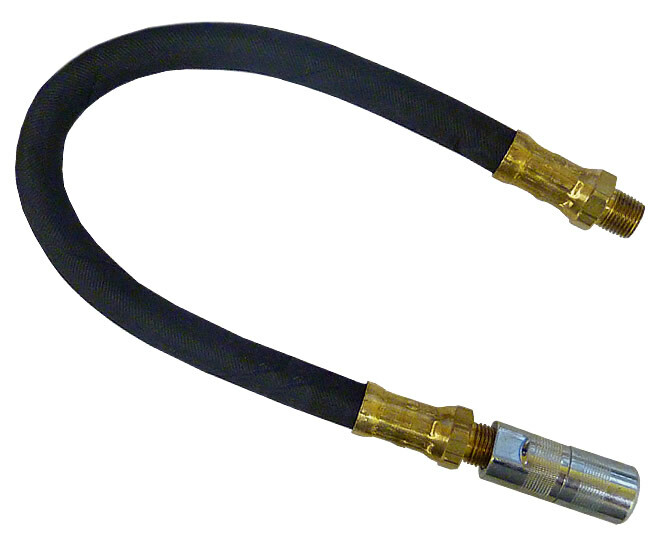 Standard duty hose with hydraulic coupler with rubber seal. Hoses are made from flexible thermoplastic construction which prevents cracking. Couplers are made from Zinc plated steel. Made in The USA. Working Pressure = 4,800 PSI. Burst Pressure = 12,000 PSI.